A surefire way to spot a failing roof is to do a visual inspection. You can look for blistering paint or decaying siding on the outside of your home. This happens when high humidity, poor attic ventilation, and high temperature trap moisture in the attic. To avoid this issue, make sure you vent humid areas and have roofing contractors in Norwalk, CT, install attic ventilation. Cracked, missing, or curled shingles also tell you that you need a new roof. Varying weather conditions, nearby trees, and fluctuating temperatures can cause these shingle issues. 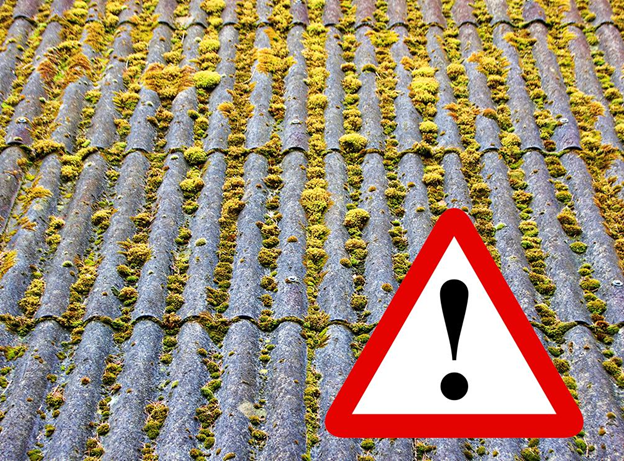 You should also look for dark areas on your roof, as they indicate mold or algae growth. Vinylume can help address these issues with quality roofing from GAF®. As a Master Elite™ contractor, we can install a roofing system complete with roof deck protection, leak barriers, and attic ventilation. We also have quality shingles that perform better than other options on the market. Some of them even come with StainGuard® protection against mold growth. You can also see signs of roof failure inside your home. The first thing you should look for are leaks. You can inspect your attic for holes and check if your walls and ceilings have water stains. Poor attic ventilation can also cause these moisture issues. To make sure your home stays comfortable and leak-free, trust one of the most respected roofers in Yonkers, NY, Vinylume. We will conduct a thorough check of your roof using a 10-step inspection process. If we see that your roof is beyond repair, we will make the necessary replacement. Your roof also contributes to your home’s energy consumption through shingle reflectivity and attic ventilation. Inadequate attic ventilation traps moisture that causes air conditioning to work harder, leading to higher bills. Moisture can also cause rot and rust on your roof deck during cold weather. At Vinylume, we ensure that your roof has proper ventilation. As part of your GAF roofing system, we can install Cobra® exhaust and ridge vents to ensure proper airflow. You can also choose Timberline® Cool Series shingles for energy-efficient roofing in Norwalk, CT.
Let Vinylume handle your roofing issues. We have years of experience handling different types of roofs. As certified roofers, we can back our services with strong manufacturer warranties for your contentment. Call us today at (866) 244-8029 to schedule a free consultation. You can also request for a quote when you fill out our contact form.